These 12" serving bowls are meant for everyday use, yet the vibrant patterns and colors are beautiful enough to set an elegant table. They add a stunning centerpiece to your table, even the most discriminating guest will adore these. 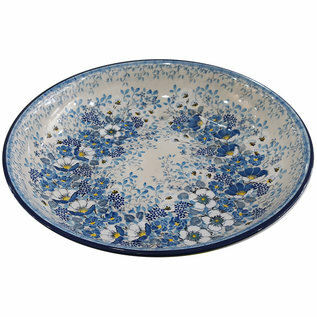 Beautiful and elegant serving bowl for the centerpiece of your table. The U4848 Signature Pattern is one of the highest-levels of hand-painting available, and has the artist's name on the back.